It’s funny how planning a trip to China is so different than planning my first ever backpacking journey 9 years ago is. Back then, I picked up a guidebook at the library and read through it from cover to cover and picked out my favourites and developed a route. This time, I googled “most amazing things to see in China”. 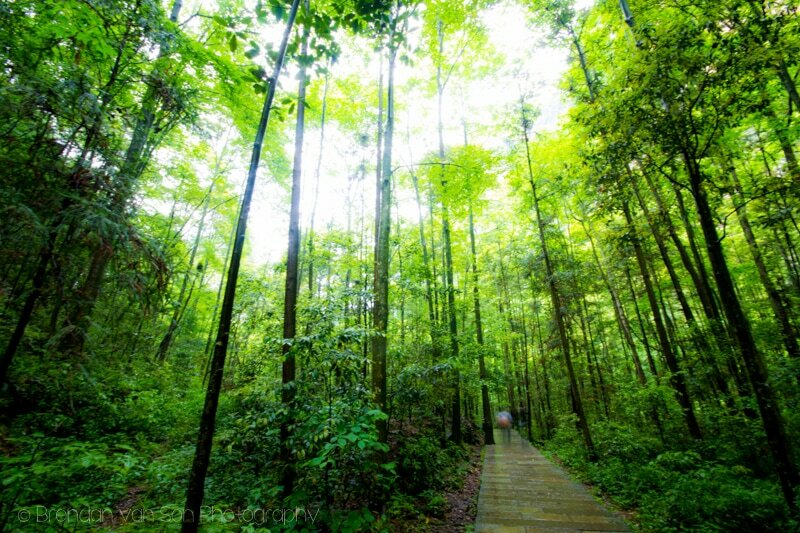 Of course, Zhangjiajie National Forest Park was on each of the items that came out of it. As such, a trip to Wulingyuan, the jumping off point for excursions into The Avatar Mountains was not only a necessity, but likely the most anticipated adventure of them all. How cool are the landscapes here? 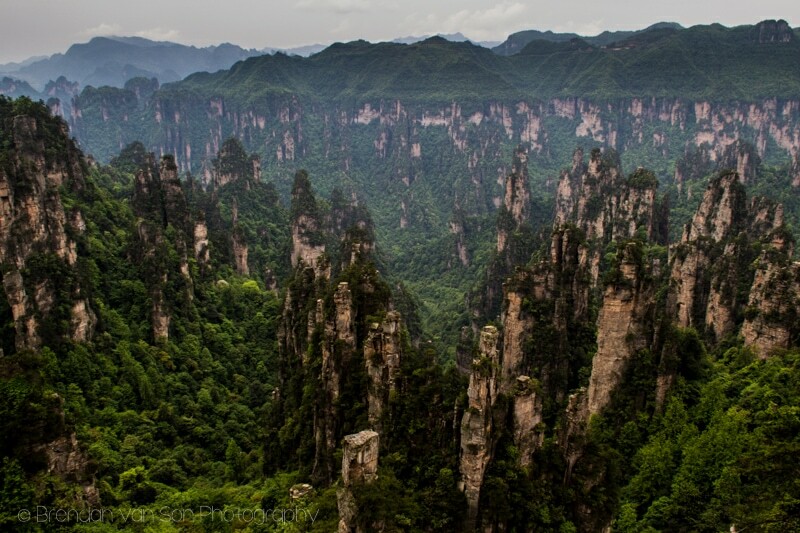 If you’ve seen the movie Avatar, you’ve already seen Zhangjiajie National Forest Park – but don’t let that stop you seeing them in real life. These mountains were the inspiration behind the Hallelujah Mountains in the mythical world of Pandora in the movie Avatar, and it’s easy to see that when you visit. In fact, the government has even changed the name of one of the mountains in the park to Avatar Mountain. The park, however, does offer so much more than just that one set of mountains. This is THE Avatar Mountain. We spent 2 full days in the park, and likely could have spent 3 or 4 and not seen it all. There is lots of hiking involved, though, so be prepared. Also, be prepared too for lots of crowds along the most popular parts of the park. There are a couple cable cars, and an elevator that goes something like 400 stories straight up the side of a mountain, and the lines are always long. If you want to hike down or up, it’ll take you all day. If you want to get away from the crowds a bit, there are quite a few hiking trails that are basically untouched by tourists. We spent our first day hiking the Golden Whip Stream Trail which is incredibly busy. However, on our return we looped around and up to a village and saw no more than 4-5 other people the whole time. However, regardless of whether you hang out at the crowded bits or the quite bits, the infrastructure of Zhangjiajie National Forest Park is very good. The paths are all paved and clean, and there’s essentially no garbage. When doing my research for a visit to the Avatar Mountains, I came across so much conflicting information. Some people said you need to stay in Zhangjiajie, others said you’d be silly to not stay in the town of Wulingyuan, and a very small said that it’s best to stay inside the park itself. The truth is, that Zhangjiajie and Wulingyuan are essentially two different entities and you may choose to spend time in both. Zhangjiajie City is the city and it’s busy. The advantage to staying here is that the super long cable car that goes up to Tianamen Mountain leaves from here. The downside is that it’s a long ride to Zhangjiajie National Forest Park. Of course, it is possible to catch transport to the forest park from there, but it can be pain. Wulingyuaninyuan, on the other hand, is much calmer and almost entirely a tourist town. You’re just steps from the entrance to Zhangjiajie National Forest Park here, and not in Zhangjiajie City (so you can see the confusion). Over here you’re also closer to some other attractions like Baofeng Lake and Yellow Dragon Cave. Thus, if you have to chose between Wulingyuaninyuan and Zhangjiajie City, it makes far more sense to stay out here. Staying inside the park is meant to be expensive, however there is a hostel inside as well. From a photography standpoint, I wish I had stayed inside the park so I could shoot sunset and/or sunrise (the park gates are closed during those hours otherwise). That being said, if you stay in the park you’re constrained to it. If you have a couple extra days in the area there are some cool things that aren’t in the park. Of course, it means that you’ll have to pay entrances fees to each of these other locations. The prices range between 90-120 Yuan for entry to the other attractions, so it can get costly if you want to see everything. Yellow Dragon Cave: If you get a rain day inside the park, visiting Yellow Dragon Cave is a good thing to do. It’s just outside the town of Wulingyuan and reachable via the public bus. Baofeng Lake: We headed up here because we had a bit of extra time in town, and it was worth it. The 90 Yuan entry fee includes a boat trip around the lake which is stunning. Tianamen Mountain: The famous mountain with a giant hole in it. We didn’t make it here for a lack of time and good weather, but if you want to see the insane roads and spectacular views of this place, it’s likely well worth the price of admission and the cable car ride. As I mentioned above, if you really want to photograph Zhangjiajie National Forest Park during the golden hour and nice light, you need to stay inside the park. Otherwise you’ll struggle mightily with the light, as I did. Anyways, to cap things off, I’ll share a couple images and describe how I shot them. One of my favourite views I’ve ever set my eyes upon. 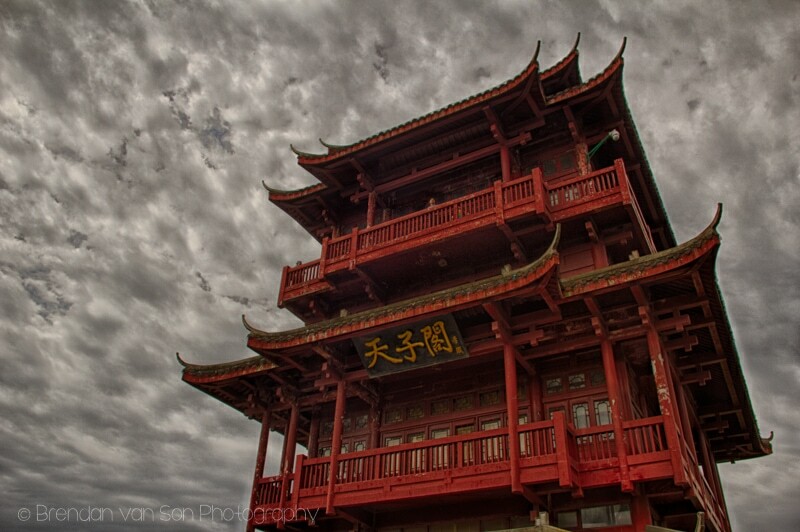 The beautiful pagoda in HDR. 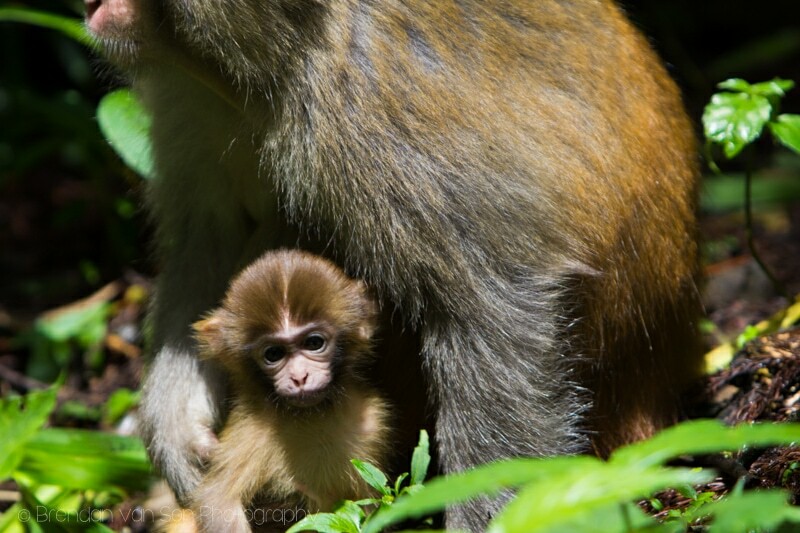 Monkeys are everywhere along the trails. Especially the Golden Whip Stream. Beautiful pagoda up on this hills. 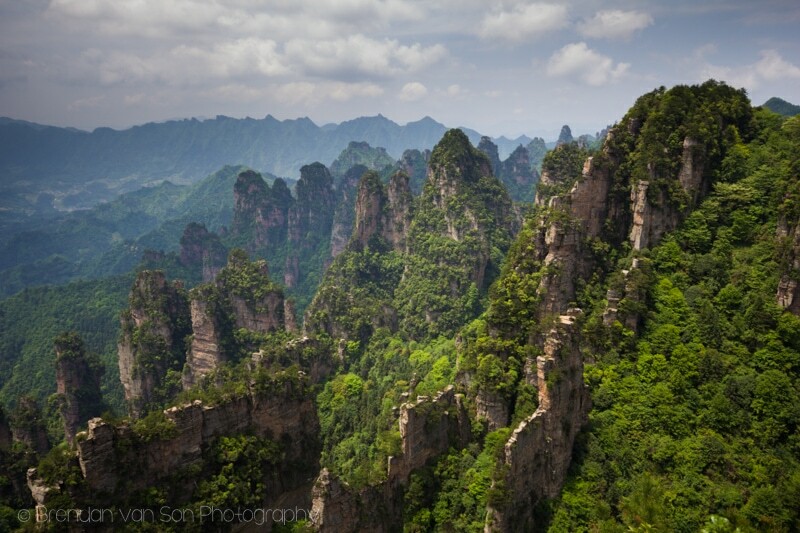 If you have any questions about the Zhangjiajie National Forest park, the area, about the photos, or about anything at all, drop me a comment below! These mountains and the landscape in general certainly speak to me. China is never really on my wish list but these images help change my mind. China has been on my list forever. I didn’t know about the Avatar Mountains until recently though. Seriously though, China has more badass landscapes of any country I know of outside of maybe the states. Yeahhhh, that’s pretty incredible! China has so many interesting landscapes, and most people don’t have a clue! Seriously. 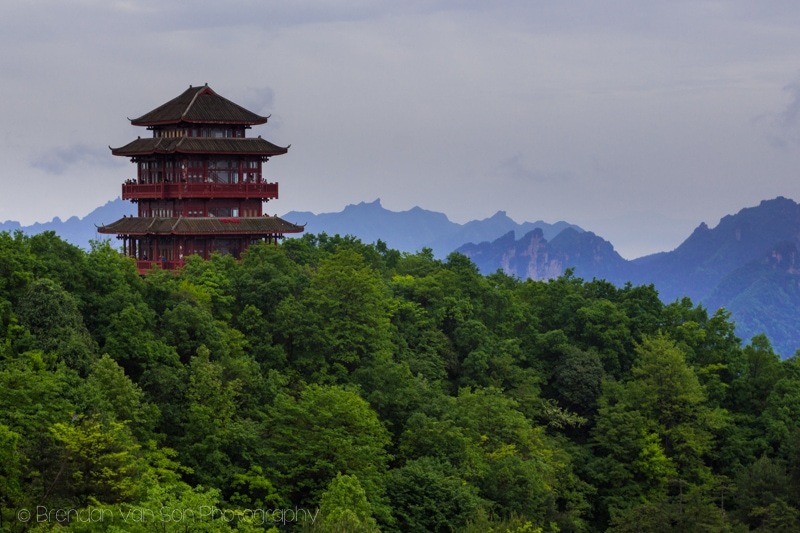 More landscapes in China than the States, even… maybe. Aaron, sorry if the advice is late. We started at the end closest to Wulinyuan and walked all the way to the other entrance. Then, we hiked up into the the middle (I can’t remember the name off hand, but something village). Up there, you’ll not see many (if any) other tourists and the views if clear are awesome! It’s a good day. Not sure if you could tie it in with Yuanjiajie, as I didn’t try. I think it would make for an insanely long day. And remember the forest park closes pretty early. You don’t want to get stuck somewhere. Photos are amazing. We are planning a trip in April 2015 and this is definitely on the wish list. Did you travel on your own in the park or did you use a guide? At what period did you travel? 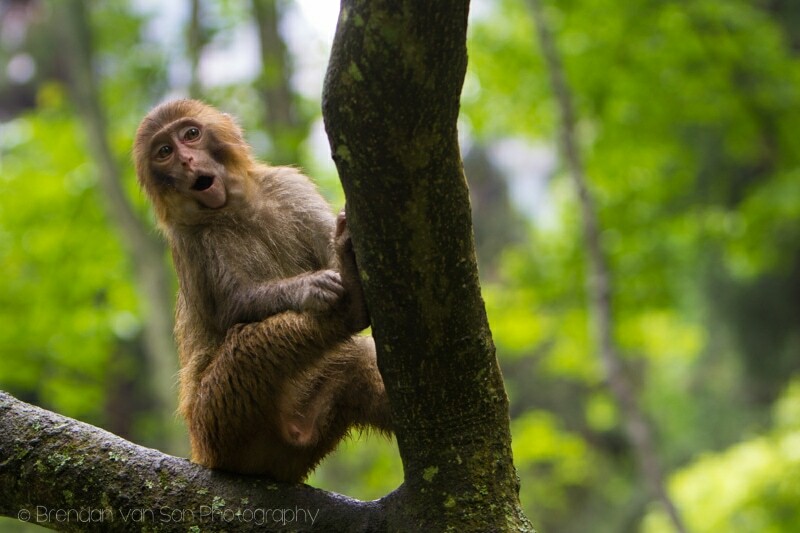 Hi Sophie, we were in the Avatar Mountains in June and did everything on our own. It’s a bit of a maze to get around, but the people at the hostels give you all the info you need to do it without a guide, for sure. 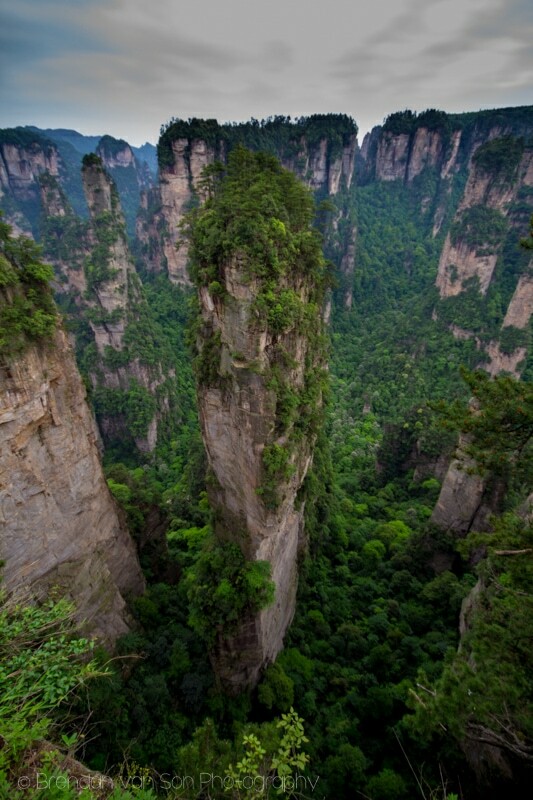 Aside from the Great Wall of China, Zhangjiajie National Park is one of the places I really want to visit. It’s seems like a fantasy to me. So surreal! Great guide! I’ll definitely have to consider making this part of my next trip to China. I don’t know if you’ve been to Huangshan, but if you have, would you say it’s still worthwhile to see these mountains? Keep up the great work. Travel guides in general are such a great asset in helping people start their itineraries. Great article. I am looking at going in a couple weeks. I am trying to find what accommodation is actually in the park. Do you know what the area in the park is named, or of any hostels/hotels/bnbs in the park? Wes, there’s a Hosteling International inside the park actually. It’s a bit of a mission to get to, but it’s really quite nice. All the hotels, on the other had, are really expensive. Just go to the Hosteling International China website search Zhangjiajie and you’ll find the info! Hope thata helps. In planning my own trip, based on Brendan’s advice and my own research, there are only two places I’ve found that are located inside the park and allow online bookings. 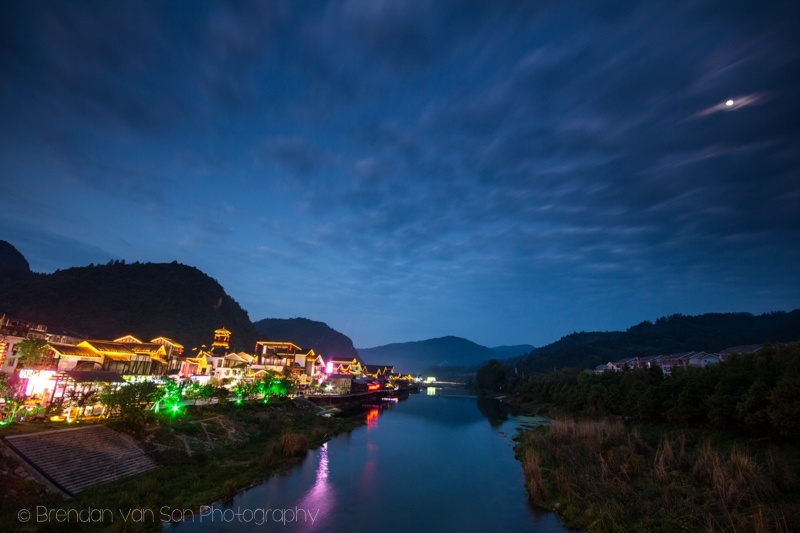 One is the Hosteling International place Brendan mentioned (https://www.hihostels.com/hostels/yuanjiajie-zhongtian-youth-hostel#price) and the other is the Zhangjiajie Pandora Inn. China Highlights has a list of all the places inside the park to stay (http://www.chinahighlights.com/zhangjiajie/where-to-stay-inside-zhangjiajie-forest-park.htm) but I could only find booking information for the Pandora Inn. Is it really difficult to get to the ZZJ National Forest Park if we choose to stay in ZJJ City? It’s definitely possible Fifi. If you’re only doing 1 day, it might make sense to stay in Zjj city. Especially since it’s easier to get to Tianamen. can v do Zjj park (avatar mountain) in 1 day tour? You can, but you’d not get to see all of it. You’d have to pick one part of the park only. We had 2 full days in the park and felt a bit rushed, to be honest. Zhangjiajie is huge in itself, and then there’s also Tianamen Mountain and Boafeng Lake which are worth see and are outside the park. I’d try to give myself at least 2 days. I’m having a hard time finding information on getting around once you’re inside the park. It looks like there are buses that bring you to each area. I’m afraid of getting on a random bus and wasting time figuring where it will take us. Do you think it’s doable to do Golden Whip Stream, Yuanjiajie, Tianzi Mountain on our own on one day? I can’t seem to find a good park map that gives me a good visual of the areas. Fifi, yeah, it’s confusing. It’s a bit of a challenge to be honest. That said, if you go to the hostel in Wulingyuan they can give you step by step directions to what you want to do in Zhangjiajie National Forest Park. Personally, I think you can do Golden Whip Stream and Tianzi Mountain in 1 day, but that’s a really busy day. Again, the best thing to do is talk to the hostel people and get them to give you one of their big maps and walk you through the instructions. Nice blog and it made me decide to book a hotel inside the park to be capable of being where I wanna be during the golden hours…. Just wondering which hostel I should book and how far it s still hiking to the best viewpoints to be there on time around sunrise/sunset? Pandora Inn is near Tianzi mountain…good spot? Hi Kim, I don’t actually know Pandora. But, if it’s near Tianzi that’s a great spot. If I were to do it again, and only had a day or two, I would have stayed at the HI-Hostel that’s inside the park. What a great post! Ive been living in China for three years and going to Zhangjiajie in 2 weeks and your post definitely helps! Nice, you’ll love it there! And, I’m guessing you speak more of the language than I do, so you’ll not spend as much time confused. haha. The Avatar Mountains are spectacular. Enjoy! Hi Brendan van Son, so nice article. I plan to spent 5 days on Zhangjiajie， but still confuse where is the best place to stay. Some people said In Zhangjiajie City and other said in Wulingyuaninyuan. What do you think Brendan. I am also thinking to move from one hostel to other hostel, but a litle bit worries with the backpack. I think you should stay in Wulingyuan. It’s much closer to the entrance of the park and the other attractions. You can also stay right in the part for a day or two at the other hostel. I am going to be in China at the end of December. Do you know if the weather conditions at that time enable a visit in the park? You can definitely visit in December. I’m told it’s beautiful in the winter months too. I imagine most of the part is open year round. Great website ! I am going to the park in a few weeks. Will be arriving in the evening on a Friday night and leave 4 days later on Tuesday evening. I am plan on staying in the city on the night of arrival so I can spend next day doing cabel cars etc on Tiananmen mountain. That evening i plan to transfer to a hotel in W. closer to the park for 2,5 days. Does that make sense ? Would you hire a guide ? Any recommendations? I don’t think you need a guide. It might save you feeling lost in the park though. I guess, it depends on how you are. The park can seem overwhelming, but it kind of just works and you just get where you need to go. 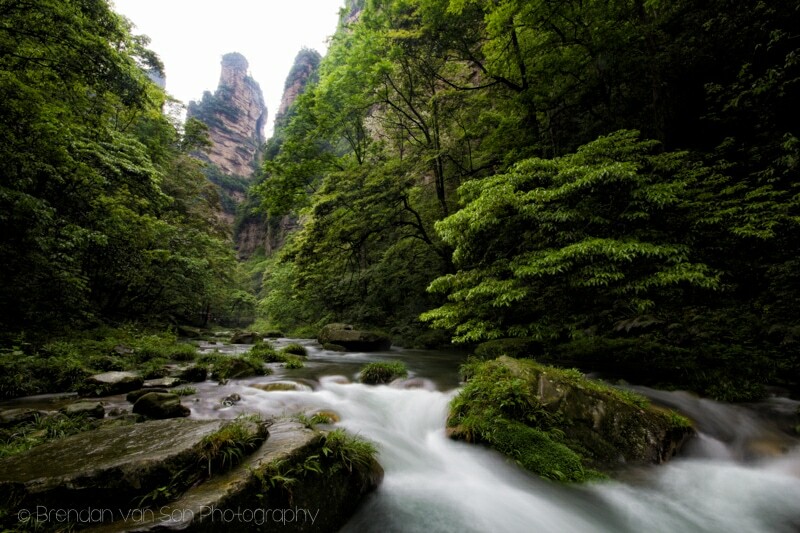 You’ll love the Avatar mountains, and the surrounding areas in Zhangjiajie are amazing as well! Enjoy, and good luck. Hey Brendan — Thanks for all the great info! I’m headed there in a month or so, and after reading your advice, it sounds like that I don’t need a guide (phew). So, my plan is to book the hostel inside the park itself for ease and then from there…will there be internal buses to get around, or would I be in walking distance at the hostel inside the park? Thanks! Hi i will stay there next march,april…i dont have much time i will arrive around 1200 and back next night around 2200….so could you please optimize my time there….avatar mountain….and if possible i will get bafoeng lake….do you suggest stay inside the park…if so…how could i get small luggage i will have with me…. Hi, Just wanted to say thanks for writing so clearly about the advantages of staying Wulingyuan. Your blog answered my questions perfectly. Hey thanks for such useful information! 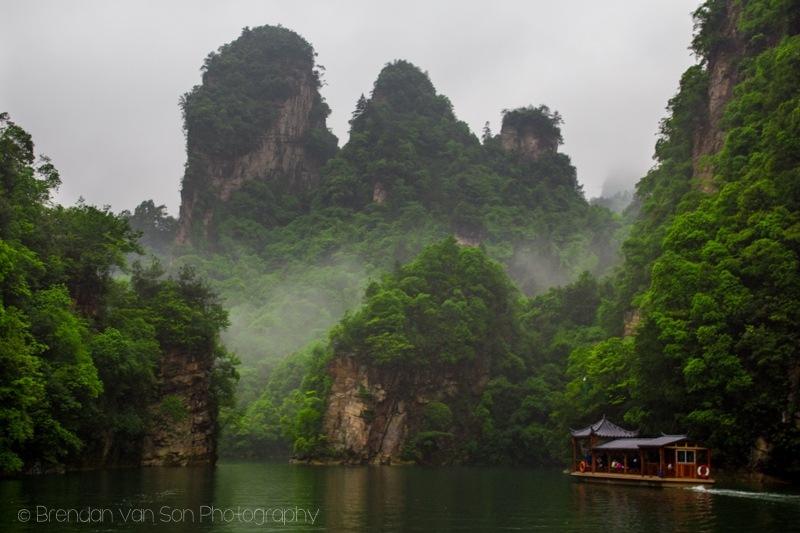 I was planning a trip to China in a couple of months and my friend and I were planning to visit somewhere between Chengdu and Shanghai, and so we came across this park, my question is: how do you travel from Zhangjiajie to Shanghai? Apparently there is no high speed train that takes us to Shanghai and there’s only fast train (20hrs) ·sigh· did you have the same problem? Awesome write-up. I know this is a few years old, but maybe you still check old comments. I was looking at trails in the Tianzi park but wasn’t sure which was your favorite. You said that some were very touristy – which trails did you enjoy the most? Also, if staying in Wulingyuan, are there any hotels that are your favorite? I hate elevators, is it still possible to see great sights in the park just by walking around? I am planning on visiting here very soon, except in order to avoid the crowds we planned on going directly from Wulingyuan to other locations with similar geography outside the park. Did you do any adventuring outside the park? Was it easy to get transport? Are there any trials? And did you visit the grand canyon with the glass bridge? Yes, we went through without a guide. No problem. Just the language barrier is a bit of an issue. But, you’ll figure it out. about March 17, 2019 , we are 2 people in Shanghai China. We want than make a Yangtze cruise and visit Xian,terragote army. What can yoy recommended us, and what does it cost? ps. Is there an Avatour office in Shanghai ?